Bellarmine University DOES use SAT or ACT scores for admitting a substantial number of students into Bachelor Degree programs. Berea College DOES use SAT or ACT scores for admitting a substantial number of students into Bachelor Degree programs. Big Sandy Community & Technical College DOES use SAT or ACT scores for admitting a substantial number of students into Bachelor Degree programs. Brescia University DOES use SAT or ACT scores for admitting a substantial number of students into Bachelor Degree programs. 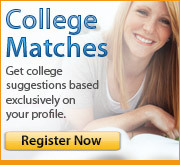 Centre College DOES use SAT or ACT scores for admitting a substantial number of students into Bachelor Degree programs. Clear Creek Baptist Bible College DOES NOT use SAT or ACT scores for admitting a substantial number of students into Bachelor Degree programs.